Sometimes the stutter of my thoughts causes me to want to scream. No kidding. Type a syllable, delete a syllable. Stare at the screen. Stretch. Type another syllable, add a second syllable, backspace, count cursor blinks. Effective way to start a blog post, don’t you think? I know I’m not the only one. I’ve talked to many of you. In fact, I’ve taught some of you. Still, it feels silly. It feels lonely. It feels . . . embarrassing. There, I said it. I’m embarrassed. I lose things. All. The. Time. My nerve, the remote, my car, courage, my sunglasses, the keys, my prescriptions, even my voice. 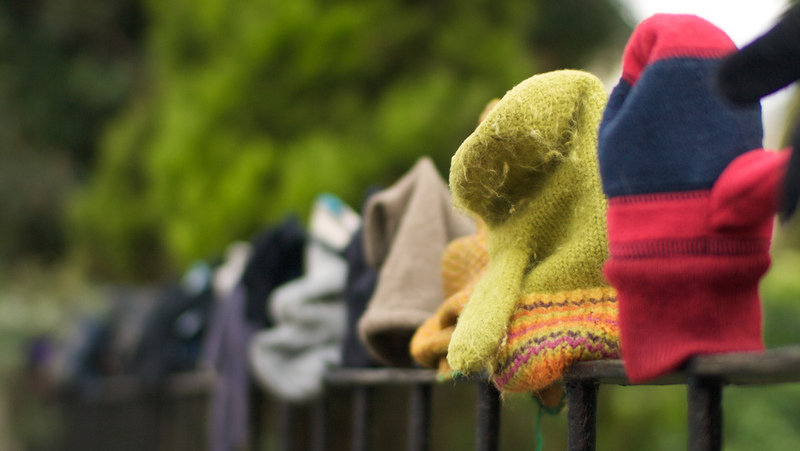 When you’ve misplaced your mittens (or your glasses, or your keys, or your kids), where do you look first? My purse for all the above . . . except for maybe the kids. I have been known to run around the house screaming ‘Where are my keys?!?! ?’ with said keys firmly clutched in my hand! You naughty kittens! You shall have no pie! I look under the piles of junk on the kitchen counter. Kids? They are lost too? If you find them, you’ll probably find everything else!!! The last place I remember seeing them and fan out from there. I bypassed the coat pocket, the kids, even the refrigerator, and came straight to my blog. It’s the last place I remembered seeing what I thought I’d lost: my voice. The voice that made you feel welcome before I’d spruced up the place. The voice that eased without tension, related without effort, spilled from the tips of my fingers without sign of a stammer. You came and sat with me in the sawdust. You listened, not just to my mess, but to the heartbeat of the Spirit within you. Something special was happening. I knew it. You spoke it. Well, then I set my voice on a shelf. I didn’t really mean to; it just happened. I had work to do. Intense work. I thought I’d remember which shelf to come back to. I didn’t. Over time, it got covered over and began to rust. I wrote some things, but they carried the strain of the work. My heart carried the strain of the work. My spirit carried the strain of the work. It was necessary work. I sacrificed much to do it. Friends sacrificed so I could do it. I stayed up nights, wrestling. I fought hard in the heavenlies. I fought hard, here, on the earth. I used my shouting voice. It strained my vocal chords. I could no longer sing. . . . I wondered what I’d done to deserve such a fate. I was frustrated. I was mad. I was stuck . . .
Yep, working it out as I go. I hit the word “stuck,” and I stopped. I’m not sure this was all as finite as it looks, or even as it seemed at the time. I did feel as though I was trying to recapture or find something I’d laid down, misplaced, or that had been taken. I poked around a bit, took a few stabs at recovery, wished I could find what was missing. But where does one go to find a misplaced voice? I didn’t know where to start. Turns out finding your voice is more obvious than it seems, rather like finding a lost mitten in your pocket. You begin where you last had it, and you fan out from there. ** Come back tomorrow, will you? We’ll fan out together; it’s more fun that way! I’m participating in Jeff Goins’ January challenge to write 500 words a day, because writing strengthens your voice, keeps the “vocal chords” warmed up. I’d be glad to have you join me (and a thousand or more others who, like me, needed a nudge!). Check it out! 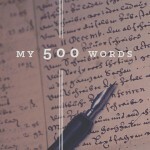 My 500 Words. Ah, Robin, how I love your voice. I’m reading faithfully and just joined you in the 500 word challenge. I needed that push, that discipline, that nudge to keep writing, even when I see so little fruit from it. Thanks, friend. Ah, Linda, how I love you. Thank YOU! Sharon, thank you. It is for you that I write. Lord, bless this woman who sees more than she knows. Fill her to overflowing. Amen.